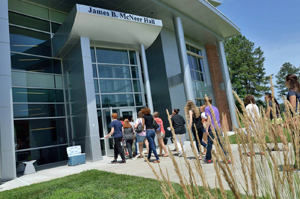 Richard Bland College Department of Campus Safety & Police operates 24 hours a day and is staffed by sworn police officers. Every officer has completed training mandated by the Department of Criminal Justice Services and is continually updated. All officers have received training in first aid, CPR and the use of AED’s. The Department has jurisdiction on all property the College owns, operates, or leases. Dialing 911 from a cell phone or 911 from a college phone will connect you with either the Dinwiddie or Prince George County Emergency Communications Center which can relay the emergency to the RBC College Police. In non-emergency situations, please contact the Campus Police directly at (804) 863-4085. There are several emergency call boxes located at various sites across campus. There is ample parking for students on-campus. 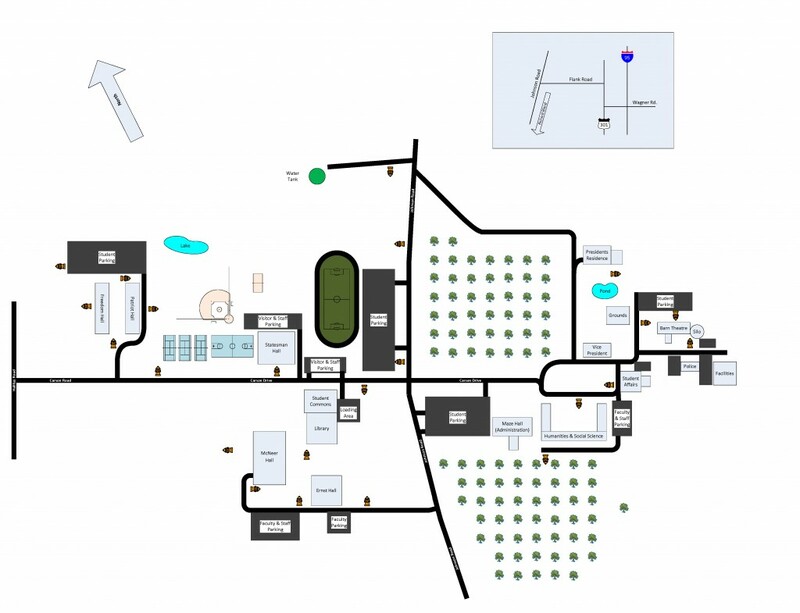 One parking lot designated for student parking is located on East Campus between the pecan groves. Two parking lots are designated student parking on West Campus, one between Johnson Road and the soccer field and the other beside the residence halls. Faculty/staff and visitor parking spaces are designated with signs throughout campus. For the 2015-2016 academic year, parking decals for students are provided at no additional cost. They can be obtained by visiting the Police Station behind Admissions & Advancement on East Campus. You will need to present your Driver’s License, Student ID, and Registration. For the 2015-2016 academic year, parking decals for faculty and staff are $50. They can be obtained at the Cashier’s Office in Maze Hall. Please note that adjunct and part-time employees are exempt from the decal fee. The mission of the Richard Bland College of William & Mary Department of Campus Safety & Police is to provide a safe and secure living, learning, and working environment for the students, faculty, staff, and visitors of the College by actively pursuing a positive relationship with the campus community, preserving public order, protecting the life and property of all, and providing education and training to law enforcement personnel and College staff, faculty and students. 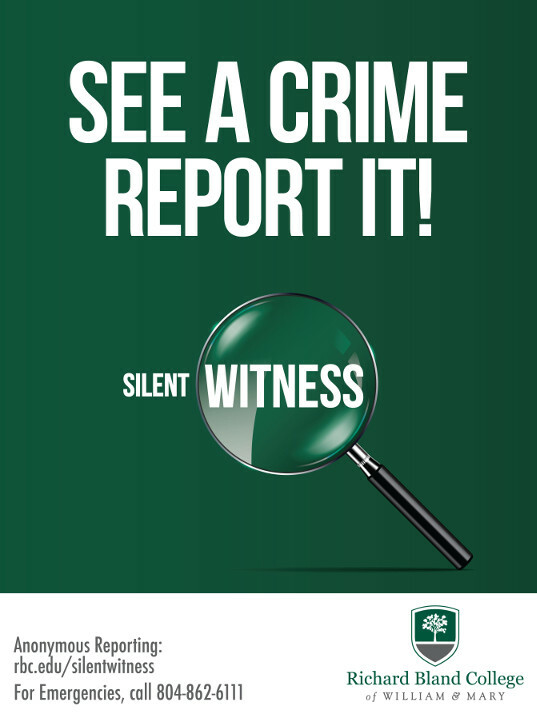 At Richard Bland College, we first ask that you report any criminal activity to a staff member or the Police Department, but in the instance you don’t feel comfortable doing so, please use our Silent Witness anonymous tip form. This form should be used to report any criminal behavior or behavior that is prohibited in the residence halls. All reports will be taken seriously, therefore, do not report inaccurate or false information. Please include as many details as possible such as names, dates, locations, etc.